Women who eat less fruit and more fast food take longer to get pregnant and are less likely to conceive within a year, a study has suggested. 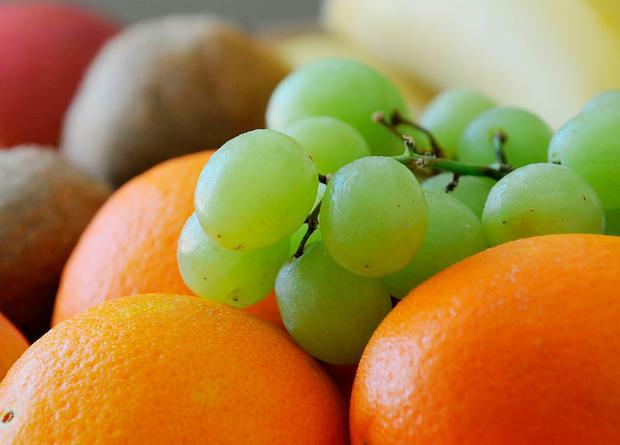 Compared with women who ate fruit three or more times a day in the month before conception, women who ate fruit less than one to three times a month took half a month longer to become pregnant. Similarly, compared with women who never or rarely ate fast food, women who consumed fast food four or more times a week took nearly a month longer to become pregnant. Researchers found that while intake of fruit and fast foods affected the time it took to get pregnant, intake of green leafy vegetables or fish did not. The study, which is published in the journal Human Reproduction, saw 5,598 women questioned about their diet during their first antenatal visit. The women, who were from the UK, Ireland, Australia and New Zealand, had not had a baby before. Among all the couples in the study, 468 (8%) were classified as infertile (defined as taking longer than a year to conceive) and 2,204 (39%) conceived within a month. When researchers looked at the impact of diet on infertility, they found that in women with the lowest intake of fruit, the risk of infertility increased from 8% to 12%, and in those who ate fast food four or more times a week, the risk of infertility increased from 8% to 16%. Professor Claire Roberts, of the University of Adelaide, who led the study, said: "These findings show that eating a good quality diet that includes fruit and minimising fast food consumption improves fertility and reduces the time it takes to get pregnant." First author, Dr Jessica Grieger, post-doctoral research fellow at the University of Adelaide, said: "We recommend that women who want to become pregnant should align their dietary intakes towards national dietary recommendations for pregnancy. "Our data show that frequent consumption of fast foods delays time to pregnancy."